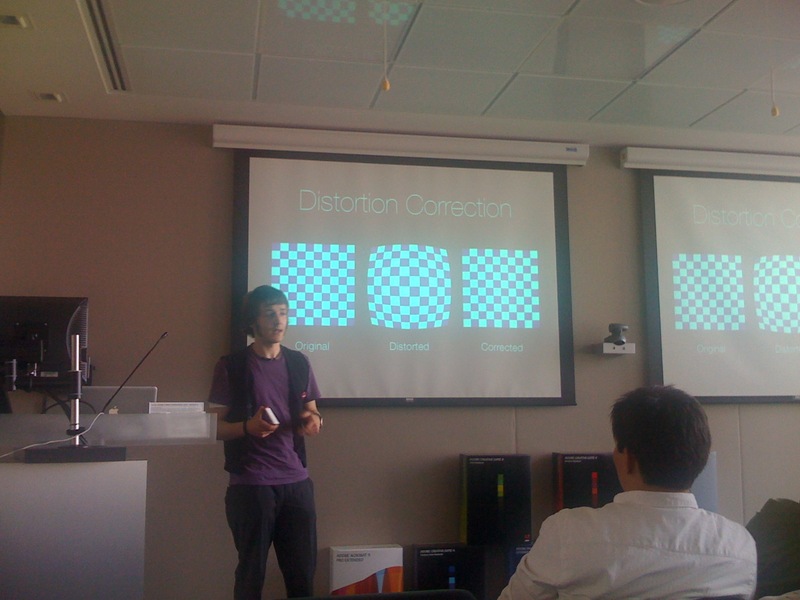 That's me presenting at Adobe Germany last Saturday. The picture was taken with an iPhone, so the quality is not the best. Additionally, the photoset of my presentation at the Metalab last Friday is finally on Flickr, and thanks to @dChris' fantastic photography skills, the quality is amazing!